CABI Leisure Tourism provides information for all aspects of leisure and tourism including policy and planning, education and training, travel, sports, hospitality, the arts and entertainment, natural environment and ecotourism, urban regeneration, and cultural heritage. 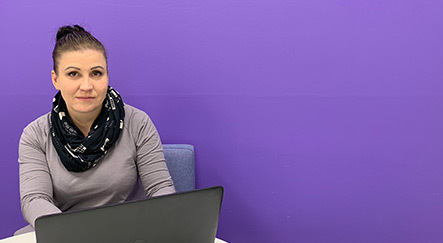 The My CABI feature improves search functionality for users allowing users to combine and save searches and save records. The link to Leisure Tourism can be found in SAMK Library’s Finna. The World Tourism Organization (UNWTO) is a specialized agency of the United Nations. 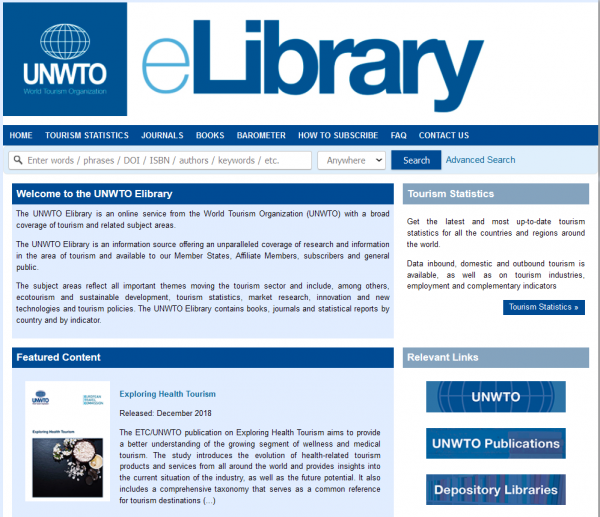 The UNWTO eLibrary is an online service with a broad coverage of tourism and related subject areas. All 1 300 UNWTO publications. Link to UNWTO can be found in SAMK Library’s Finna. 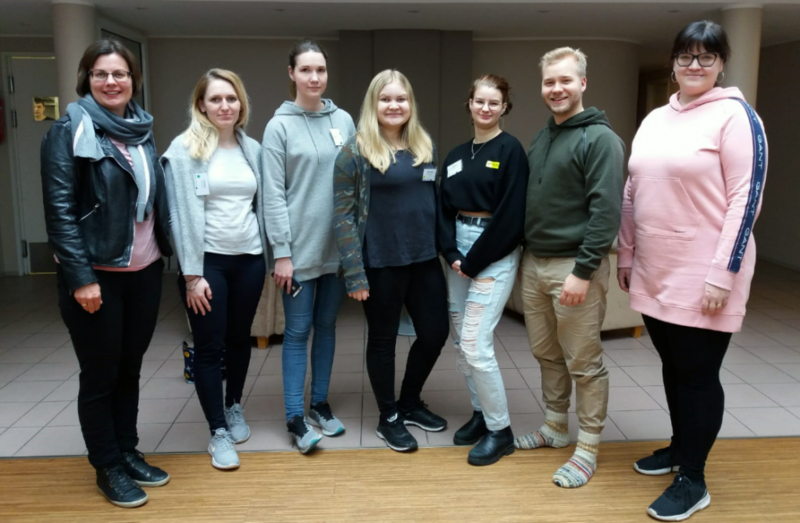 Hospitality & Tourism Complete (in EBSCO) has been available for SAMK students since 2015. It covers scholarly research and industry news relating to all areas of hospitality and tourism. The collection contains more than 800 000 records. There is full text for more than 490 publications, including periodicals, company & country reports and books. Available in SAMK Library’s Finna. 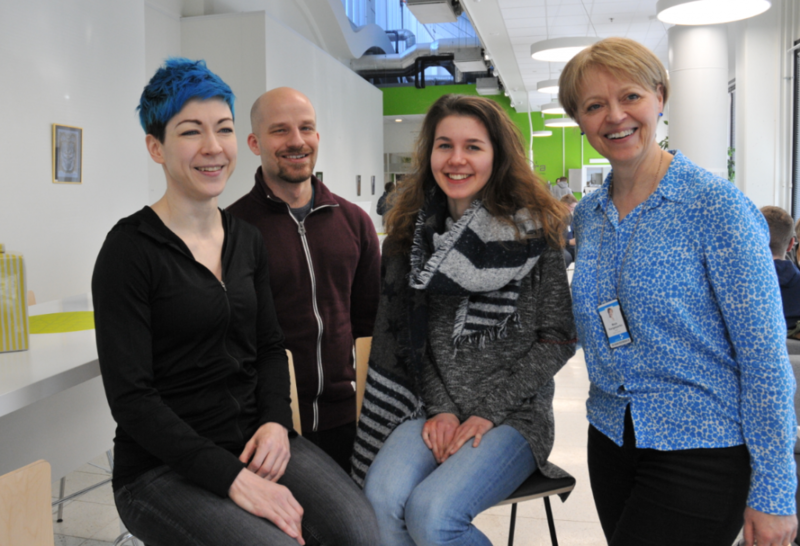 Links to online resources, e-books and e-journals can be found in SAMK Library’s Finna. 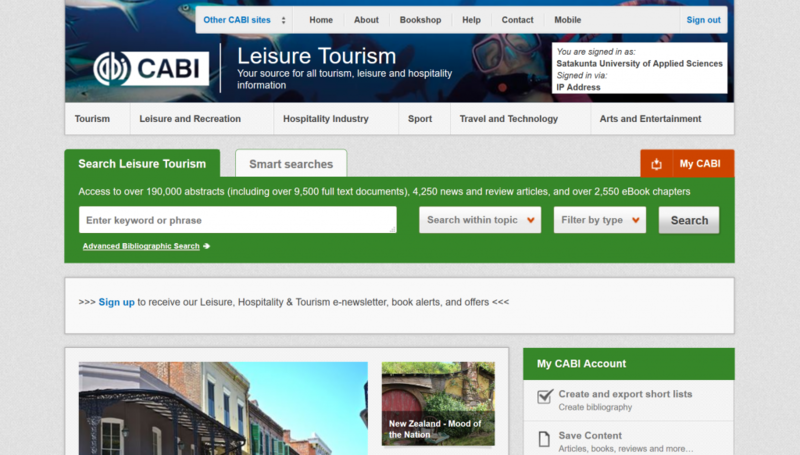 For tourism databases, click on E-resources menu and select Business. Don’t forget journals, printed books and theses.